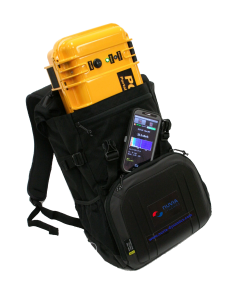 This instrument is designed for portable or backpack application for radiation detection and monitoring in a variety of environments. 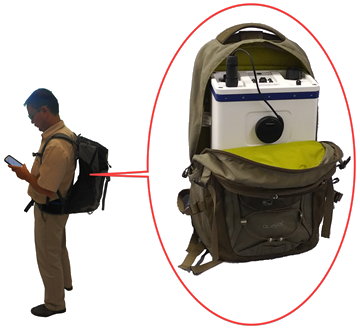 The system is auto calibrated by natural photo peaks, consisting of a detector unit, integrated with GPS, and a data logger unit (PEICore) based on state-of-the-art Android portable devices, such as a smart-phone, a tablet or a notebook. The detector can be equipped with a NaI(Tl) crystal of various volumes ranging from 0.347 liter up to 2 liters. 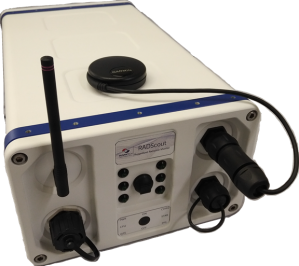 A standard Detection Unit consists of a large effective volume NaI(Tl) scintillation crystal (either 0.347, 1 or 2 Liters), GPS and supporting electronics. 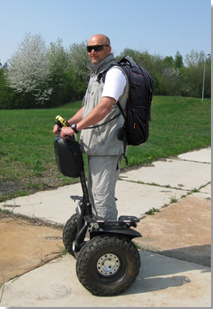 The Detection Unit can be customized with GM tube and Neutron detector. The Detection Unit standard is set in a rugged plastic case with a handle. The Detection Unit is connected to the Data Acquisition via Bluetooth. 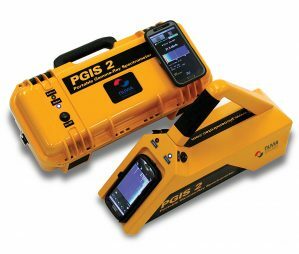 The user interface and data acquisition system is based on the Android™ OS (DAQ, PEICore), allowing the operator to control surveillance parameters, including map-view navigation, real-time data acquisition, and real-time spectra in a chart or waterfall view. The Audio and/or Visual alarms can notify the operator of a potential threat. A notification can be forwarded to the reachback center. The collected data is ready for mapping and reporting right after a mission. The data can be exported to ASCII, Binary or KMZ format (using PEIConvert) for following visualization with GIS applications.